The court rejected both parties' objections to exhibits and deemed all objections waived for their failure to comply with the Federal Rules of Evidence and the court's scheduling order. "It seems the parties are under the misconception that the Federal Rules require a judge to shovel through steaming mounds of objections in a Herculean effort to discern the shining gold nugget that will result in a ruling that prevents an opponent from introducing a document. Nothing could be further from the truth. Objections must be specific. . . . Inundating the court with a smorgasbord of objections from which to choose leads to the firm perception that, being unable to articulate clear grounds for an objection, counsel simply feels the evidence might hurt the client’s case. But introducing evidence that is prejudicial to an opponent’s case is a trial lawyer’s job. . . . Counsel should keep in mind that the purpose of the court’s requirements concerning exhibits is to conserve counsel’s limited trial time, and to eliminate the need for the boring (to the jury, although perhaps not to evidence professors) exercise of laying lengthy predicates, making objections and obtaining formal rulings. " Following a bench trial, the court found that defendant indirectly and contributorily infringed plaintiff's patents for gabapentin through its generic drug product. "[T]he ANDA product may not be marketed for non-infringing uses. Drug companies are not permitted to promote their products for anything other than what is approved in the label. . . . Defendant argues that this element of the contributory infringement analysis (i.e., that there are not significant noninfringing uses) has not been met due the existence of a number of off-label uses exist for the ANDA. However, because [defendant] cannot expressly market its product for any of these uses, the Court finds this . . . element to be met." The court denied defendant's motion for attorneys’ fees under 35 U.S.C. § 285 after plaintiff executed a covenant not to sue and dismissed its action. "[Defendant] argues that it is entitled to attorney fees because [plaintiff's] attempts to extract settlements from each of the defendants evidences bad faith. . . . While [defendant] presents a chart outlining the licensing fees paid by each defendant and calculates an average payment of $15,188 per defendant, [defendant] fails to fully substantiate its claim that [plaintiff] was engaged in extortive litigation tactics. Moreover, despite offering its subjective interpretation of [plaintiff's] decision to dismiss its infringement claims, [defendant] provides no other evidence of any improper settlement negotiations or that other defendants in the case were strong-armed into paying licensing fees." The court granted plaintiff's ex parte motion to compel a further deposition and sanctioned defendant for its "filibuster." "It strains credulity to take the witness’s expressed inability to understand common terms such as 'what,' 'sales,' 'marketing,' 'does,' 'have,' 'use,' 'offer,' 'involvement,' 'which,' 'communication,' etc. at face value. The witness started the train wreck of a deposition by asking counsel 'to clarify' what he meant by such obvious words as 'responsibilities' and 'educational background.'. . . Counsel stepped up the attempt to disrupt any worthwhile examination by continually interposing inappropriate objections, 'cluing' the witness to ask the questions to be rephrased, and wasting everyone’s time trying to engage plaintiff’s counsel in banter. . . . The witness and his counsel may have taken some temporary pleasure in frustrating plaintiff’s counsel’s ability to obtain any information from the witness, but the judicial process and the public’s perception of it suffers. . . . Defendant is ordered to reimburse plaintiff for the attorney fees and court reporter fees it incurred during the . . . deposition and the attorney fees incurred in the preparation of the ex parte motion." Late Assertion of Unpatentability Defense Barred Despite Intervening Decision in Alice Corp. The court denied defendant's motion for judgment that plaintiff's patents were invalid for ineligible subject matter because defendant failed to preserve that argument. "After trial and shortly before the . . . hearing on post-trial motions, [defendant] requested supplemental briefing to argue that the asserted claims of [two asserted patents] are invalid under 35 U.S.C. § 101, in light of the Supreme Court’s decision in Alice Corporation Pty. Ltd. v. CLS Bank International, 134 S. Ct. 2347 (June 19, 2014)." . . .[Defendant] could have — but failed to — preserve § 101 invalidity defenses, and [defendant's] request for the Court to adjudicate a legal theory that was disclosed after trial is untimely, regardless of the Supreme Court’s intervening decision . . . [Defendant's] technical experts on invalidity . . . did not disclose any opinions regarding § 101 in their reports. . . . [Defendant] also declined to assert § 101 in summary judgment motions. [Defendant] has identified no other disclosure after its . . . invalidity contentions [over a year ago] where [it] stated that it would continue to assert § 101. . . . [Defendant] did not 'implicitly' include § 101 by merely requesting a declaration of invalidity of the asserted patent claims because invalidity encompasses a range of legal theories under separate statutes that require different forms of proof. . . . Critically, [defendant] did not raise § 101 at trial or in any pre-verdict or post-verdict motions for judgment as a matter of law. . . . Any uncertainty in the law due to the pending Alice decision did not excuse [defendant's] delay." The court granted defendants' motion to stay pending inter partes review, but conditioned the stay on defendants' agreement to estoppel. "[T]his court has previously explained in similar cases that the benefits of a stay are partially contingent upon the application of the IPR proceeding’s estoppel effect. . . . In cases such as this one, where Defendants are not parties to the pending IPRs, the fact that the patent infringement defendants are not automatically estopped jeopardizes the IPRs’ critical intended effects on any subsequent district court action. Indeed, should any claims survive the pending IPRs in this case, the expected efficiencies would be eviscerated should Defendants go on to bring invalidity arguments in this court that were raised or could have been raised before the PTAB. . . . With that [estoppel] condition in place, the court concludes that the potential for streamlining these proceedings by awaiting the final resolution of IPR proceedings weighs heavily in favor of a stay." The court granted in part defendant's motion in limine to exclude evidence of plaintiff's $8.5 million license of a patent-in-suit to a patent aggregator. "Because [the aggregator's] business model is unique, [defendant] argues [the] license is of limited relevance to [defendant's] hypothetical licensing posture and should be excluded. . . . Some of the license agreements [the expert] reviewed involved licensees . . . that already had a license to [a patent-in-suit] through their membership with [the patent aggregator]. These licensees would have contemplated the effect of their existing license and paid a lower rate to settle claims with [plaintiff]. Ignoring the [aggregator's license] would leave the jury with the mistaken impression that the license agreements included [that patent-in-suit]. . . . [Defendant] argues that even though the [aggregator] license is relevant, its $8.5 million figure will skew the jury’s perception of a reasonable royalty, causing unfair prejudice to [defendant]. Accordingly, [plaintiff] may describe the circumstances of the [aggregator] license, but not the actual amount." Following a bench trial in which the court found the asserted patent invalid, the court granted plaintiff's motion to enjoin defendant from marketing or selling its accused drug product pending plaintiff's appeal, on the condition that plaintiff post a $10 million bond and move to expedite its appeal. "[Plaintiff] claims that it will succeed on the merits because this court erred in its application of the law with respect to motivations to combine the prior art and inherency. Although the court stands by its judgment, it recognizes that the case presents a close call. . . . The court is not persuaded [plaintiff] has demonstrated a 'strong' likelihood of success on appeal. . . . [Plaintiff] has, however, made a showing of a substantial case. Because . . . the balance of hardships tips strongly in its favor as well, this showing is sufficient. . . . [Plaintiff] has presented evidence that it would suffer more than just lost revenue. [Plaintiff] has also demonstrated that the lost revenue will likely force its entire branded division . . . to shut down. . . . In addition, there is evidence that were [defendant] to enter the market only to be required to exit again, the price erosion and revenue losses [plaintiff's product] would suffer would be impossible to reverse completely." The court denied defendant's motion for summary judgment of noninfringement of plaintiff's HVAC patent. "[Defendant] argues that it cannot be liable for direct infringement because it only sells individual HVAC units, not HVAC systems, and the [patent-in-suit] requires an HVAC system that is operational. . . . [I]t was not until 11:19 p.m. on the last day of fact discovery . . . that [defendant] added this contention as a defense, by supplementing its interrogatory response on non-infringement. . . . The parties are represented by highly regarded patent lawyers. How can it be that a fundamental contention - defendant does not sell the accused system - was not even identified by either party until the last minutes of fact discovery? Indeed, the record is bereft of all meaningful evidence relating to this issue, with [plaintiff] arguing that it had no notice of the contention and, therefore, no opportunity to pursue related discovery, and [defendant] arguing that it had no responsibility to give any more notice of its defense than it did because it is [plaintiff's] ultimate responsibility to prove direct infringement. . . . [Defendant] equivocated and failed to provide any evidence (like sales figures) that could have alerted [plaintiff] to the issue. [Defendant] did not play by the rules; therefore, it must suffer the consequences. [Defendant's] motion for summary judgment is denied in this regard. The court will address at the pretrial conference whether [defendant] will be precluded from presenting such a defense at trial." Following a jury verdict of patent infringement liability and reasonable royalty damages of about $65,000 against two defendants, the court granted plaintiff's motion for attorneys’ fees under 28 U.S.C. § 285. "[T]his case raises special concerns regarding compensation and deterrence of patent infringement. Although snap fasteners represent a minute portion of Defendants’ costs and profits, the [patent-in-suit] is Plaintiff’s primary business asset. Thus, there is a risk that plaintiffs similar to [this plaintiff] could be discouraged from bringing claims that may garner only small awards but are nonetheless vital to the survival of their businesses where defendants, as was the case here, aggressively pursue invalidity counterclaims in an attempt to prolong litigation and exponentially increase the cost and risk of pursuing a lawsuit." The court granted in part plaintiff's motion to allow its litigation counsel to participate in inter partes review filed by defendants involving the same claims and defenses, but litigation counsel could not participate in claim amendment or share defendants' confidential information with plaintiff's IPR counsel. "[E]ven if the protective orders did bar [plaintiff's litigation counsel] from participating in the inter partes review proceedings, the court would make an exception. . . . [Litigation counsel's] participation is limited to the issues before this court — questions of obviousness and prior art. Those issues need not implicate competitive decisionmaking or claim amendment. . . . [Plaintiff] would be at a significant disadvantage if [its litigation counsel] is not permitted to assist in the defense of [plaintiff's] patents against the same prior art raised in this litigation. . . . [Counsel] has developed extensive knowledge and expertise regarding those challenges. . . . Forcing [plaintiff's IPR counsel] to prepare from scratch the defense that [litigation counsel] has already prepared would be a waste of time and resources." Following a jury trial which found plaintiff's call center system patent invalid, but did not specify a basis, the court granted plaintiff's motion for judgment as a matter of law as to defendant's written description and lack of enablement defense. "[Defendant's invalidity expert's] testimony consists of a series of 'yes' and 'no' answers to counsel’s leading questions, without providing any specific reason for giving such answers. While [the expert] did identify a page from the [patent-in-suit's] specification upon which he purportedly formed his opinion, he never explained how such evidence demonstrated that, to build a partitioned database, one skilled in the art would have to go through 'undue experimentation.' [The expert's] ipse dixit statements that the [patent-in-suit] failed the written description and enablement requirements cannot be sufficient to constitute clear and convincing evidence. 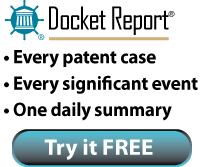 Given that [the expert's] testimony is the only basis upon which Defendants attempted to invalidate the [patent-in-suit] under Section 112, the Court finds that no reasonable jury could have concluded that the [patent-in-suit] was invalid for lack of written description or for failing the enablement requirement." Following a jury verdict of noninfringement and invalidity, the court denied defendant's motion for attorneys’ fees under 35 U.S.C. § 285. "[Defendant's] motion is primarily based on the fact that [plaintiff] made losing arguments. . . . [T]hat is not a ground for finding a case exceptional. Every case will have a loser. . . . [Plaintiff's] argument was certainly a weak one, but despite the alleged implausibility of [plaintiff's] position, [defendant] never sought summary judgment of non-infringement on the basis of the limitation at issue. This suggests that [defendant] did not always view [plaintiff's] infringement position as frivolous. There is little injustice in forcing [defendant] to bear its own attorney’s fees for defending a claim it did not challenge on summary judgment. Disposing of a frivolous claim on summary judgment would avoid a trial and have the effect of saving both parties a substantial portion of their litigation costs." Following remand from an appeal which reversed the court's willfulness finding the court again granted plaintiff's motion for attorneys’ fees under 35 U.S.C. § 285. "The Court previously found this case exceptional under the now-overruled [Octane Fitness, LLC v. ICON Health & Fitness, Inc., 134 S. Ct. 1749, 1756 (2014)] Federal Circuit approach. That ruling was based on [defendant's] behavior during litigation and the jury’s finding of wilfulness. On appeal, the wilfulness finding was reversed and the case remanded for a determination whether an award of attorneys’ fees was still merited. . . . [A]n award of fees is still appropriate because most of the underlying facts supporting an award of attorneys’ fees have no connection to the now-vacated wilfulness finding. . . . [Defendant] hid its infringement for years, provided false discovery responses, filed summary judgment papers even though it knew its product infringed, argued a never fully explained theory that [plaintiff] did not own the underlying patent, and during and after trial played semantic games regarding what its machines did and what functions were important to it and its customers. . . . In fact, either the substantive strength of many of [defendant's] litigating positions or the 'unreasonable manner in which the case was litigated' make this case stand out from others." The court granted defendant's motion to stay pending inter partes review and rejected plaintiff's request that defendant be required to agree to estoppel as a condition of any stay. "[Plaintiff] asserted that 'there is less of a likelihood' that a stay will simplify the issues in this case because [defendant] can raise the same arguments from the IPR proceedings in this case. . . . [Defense] counsel acknowledged the existence of a joint defense agreement [with the IPR petitioner], but represented that [defendant] has 'absolutely no involvement…no involvement in any decision, anything about the IPRs.'. . . '[A]lthough Plaintiff suggests it would be unfair for Defendants to obtain the benefit of IPR proceedings without being bound by the arguments raised therein, it would be more unfair to condition a stay on Defendants being bound by arguments raised in a proceeding over which they have no control.'" The court granted plaintiff's motion for summary judgment that one of defendant's Coriolis flowmeter patents was invalid as indefinite following claim construction because the claims required a calculation that was mathematically impossible. "It is undisputed that the normalized pulsation is represented by a single number. . . . It is also undisputed that calculating a dot product requires a sequence of numbers. Accordingly, as [plaintiff] argues, calculating a dot product where one of the inputs is a single number is mathematically impossible. . . . [Defendant] suggests that a skilled artisan would understand the error of the claims and discern the intent of the inventor by ignoring the literal language of the claims. . . . The Court is not permitted to rewrite unambiguous patent claims simply because the process claimed cannot be performed as the patentee intended." The court granted plaintiff's motion in limine to preclude defendant from introducing evidence that the use of the patented invention in the accused products did not enhance the products' profitability because defendant failed to produce sufficient data in court-ordered discovery. "[Plaintiff] seeks a reasonable royalty for [defendant's] violation of [plaintiff's collagen] patent rights through the sale of the Accused Products. Data concerning both entire market value and apportioned value are relevant to the analysis, depending on which measure [plaintiff] uses for its royalty calculation. [Plaintiff] sought documents concerning the volume of sales of the Accused Products, gross sales receipts, and accounting standards used by [defendant]. . . . [Defendant] was ordered to produce records concerning not simply records of collagen sales, but records for sales of products which were collagen blends, or finished products. . . . While [defendant] produced substantial financial documentation, it is aggregated data, and does not provide apportioned data sufficient to allow [plaintiff] to construct a royalty claim on that basis. The Court therefore precludes [defendant] from introducing such documents at trial." The court denied without prejudice defendant's motion to focus patent claims and prior art because of pending inter partes reviews and an appeal involving four of the six patents-in-suit. "[Defendant] requests that the Court enter the Model Order in this case. [Defendant] argues that, with 118 claims and 6 patents, this is precisely the type of patent suit that the Model Order was designed to streamline. . . . [Plaintiff] explains that the Model Order’s limit on [defendant's] prior art references in this case is illusory because [defendant's] invalidity case is preserved in the other forums. [Plaintiff] contends that, on the other hand, entering the Model Order would increase the burden on [plaintiff] by forcing it to narrow its claims before their validity is decided. In light of the [related] appeal and IPRs that are currently pending, [defendant's motion] is denied without prejudice." The court denied defendants' motion to stay pending inter partes review and rejected their proposed estoppel language as potentially simplifying the issues of the case. "Defendants . . . contend that a simplification of issues exists because 'they will not contest the validity of any claim determined by the PTAB to be patentable on any ground for which the inter partes review proceeding was instituted.' The estoppel agreed to by Defendants is a far cry from the true estoppel that would normally arise from an IPR proceeding, and is essentially illusory given that Defendants retain the right to assert invalidity challenges in this proceeding in an otherwise unlimited fashion, including challenging validity with references that the PTAB considered – but rejected – as a basis for instituting inter partes review. . . . The Court finds that the possibility of issue simplification in this case is not sufficiently persuasive to weigh in favor of a stay." The ALJ granted respondent's motion for summary determination of no domestic industry and terminated complainant's investigation because complainant was a licensing entity whose patent-related activities were purely revenue-driven. "No nexus is asserted between [complainant's] licenses and development of the patented technology through production-related activities. In these circumstances, without evidence of any effort or investment by [complainant] directed to development of the patented technology ([complainant] relies on no such evidence), its revenue-driven activities do not satisfy the requirements of the [Schaper Manufacturing Co. v. Int'l Trade Comm 'n, 717 F.2d 1368 (Fed. Cir. 1983)] principle or subsection (C) [of 19 U.S.C. § 1337(a)(3)]. [Complainant's] licenses are divorced from any effort to develop patented technology or to bring products to the marketplace. The only purpose of its licenses, as set forth in [complainant's] own Business Plan, is to obtain revenue. . . . [T]he nature of [complainant's] licensing activities is, beyond dispute, 'revenue driven.'. . . [Complainant] cannot demonstrate (and does not even allege) any other domestic industry activities. As a result, [it] cannot establish a domestic industry as a matter of law." Following a bench trial, the court found that plaintiff's boat motor patents were invalid as indefinite. "[T]he Court construed the term 'elongated drive housing' to mean 'a drive housing that is greater in measurement in one axis than in the other two axes.' . . . [and construed] the term 'drive shaft' [as] shafts comprised of segments connected by universal joints.' . . . [T]hese constructions . . . combined with the [patents'] lack of maximum length limitation, expands the reach of [the] Patents well-beyond the scope of his invention to include traditional long-tail motors. This ambiguity regarding the scope of the [patents] remains even when the Patents' claims are read in light of their respective specifications. . . . [T]he evidence clearly and convincingly demonstrates that [the claims] each 'fail[s] to inform, with reasonable certainty, those skilled in the art about the scope of [plaintiff's] invention.' Accordingly, these claims are invalid for lack of definiteness under the newly minted test announced by the Supreme Court in [Nautilus, Inc. v. Biosig Instruments, Inc., 134 S. Ct. 2120, 2124 (2014)]."